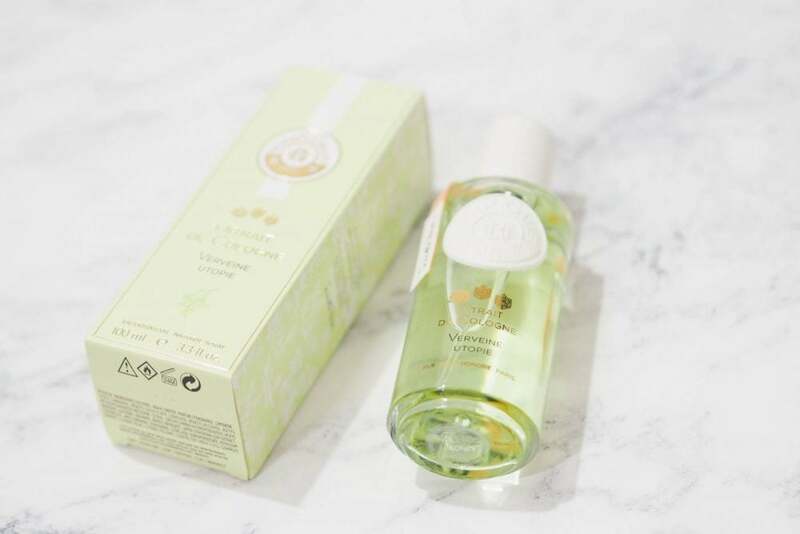 Roger and Gallet Extrait de Cologne Verveine Utopie | Gemma Etc. 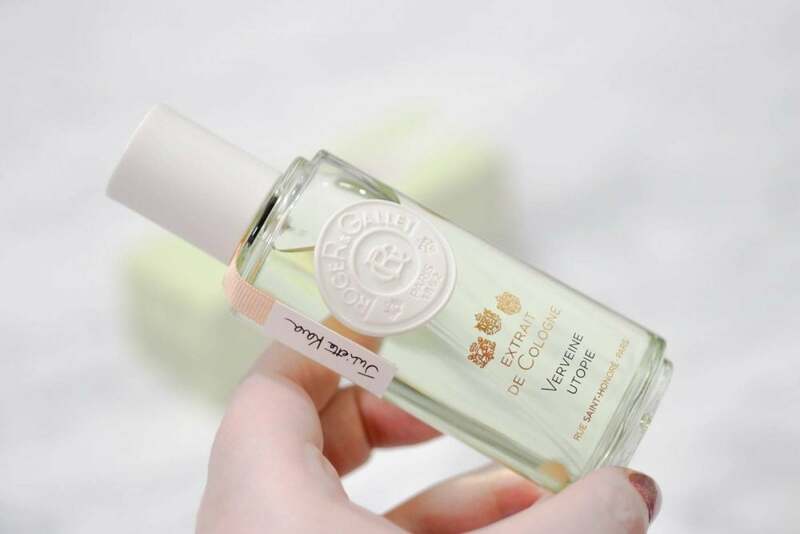 I’ve tried a fair few products from Roger and Gallet but nothing within the last last year or so, so I was excited to try the new Roger and Gallet Extrait de Cologne Verveine Utopie as it sounded so fancy and I loved the look of the packaging. The Roger and Gallet Extrait de Cologne Verveine Utopie is a new fragrance which launched in 2017 and was created by expert perfumer Juliette Karagueuzoglou, and is available in 30ml £30, 100ml £54 and even 500ml £149 sizes. The packaging for the Roger and Gallet Extrait de Cologne Verveine Utopie is absolutely stunning, with a wax seal effect raised design on the front of the bottle and the bottle is even signed by the perfumer with a little ribbon around the neck. 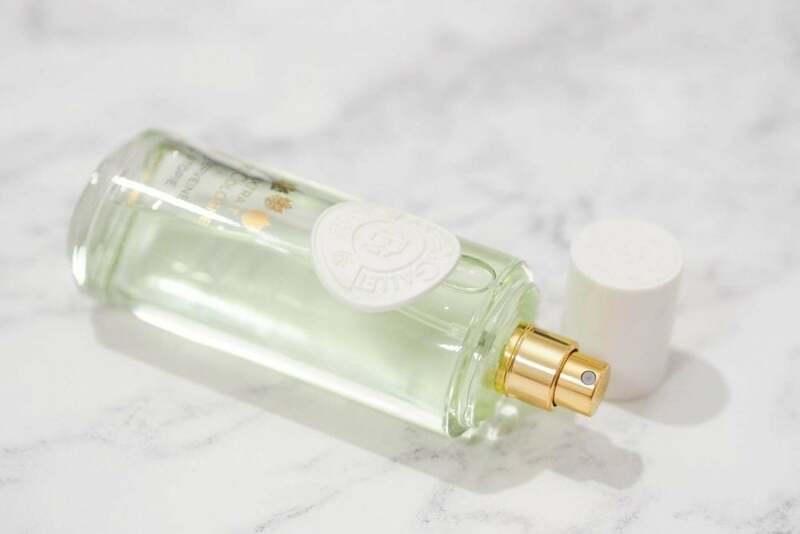 This fragrance is from the Roger and Gallet Extrait de Cologne range which each contain upto 87% of ingredients of a natural origin, with five to choose from. Each of the five fragrances are said to contain the freshness of a cologne with the long lasting intensity of an eau de parfum. The first time I tried the Roger and Gallet Extrait de Cologne Verveine Utopie, I did it blind by not reading the notes and information surrounding the fragrance. 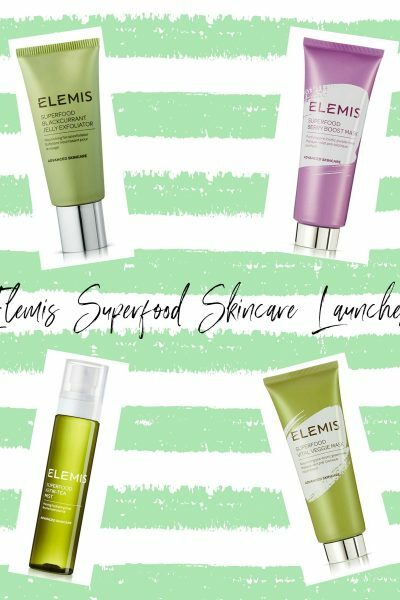 From the very pale green colour of the fluid, and the packaging design I assumed this was going to be a very fresh scent and I was right. From the very first spritz I knew it reminded me of another fragrance I know and love, and I instantly knew it was Dolce and Gabanna Light Blue which has been in my fragrance collection on off for around ten years. As much as I love Light Blue, it has a poor longevity due it being an eau de toilette. The Roger and Gallet Extrait de Cologne Verveine Utopie is the most perfect alternative as it has the same citrus, woody and fresh scent yet it boasts a much more impressive weartime of around five to seven hours on me. I only ever spritz the bottle twice, and I often find the fragrance lingering on the skin come the end of the day. I’ve never tried any of the Extrait de Cologne fragrances so I didn’t really know what to expect, but I am so in love with Verveine Utopie and I know it’s going to be one of my most worn fragrances for 2018 especially for the Spring and Summer. I would love to know if you’ve ever tried any of the Roger and Gallet fragrances before?